Ann Reisch, Principal, graduated from Illinois State University with a B.S. degree in Business Administration and a minor in Psychology. She holds the coveted professional designations of Certified Commercial Investment Member (CCIM), Certified Property Manager® (CPM®) and Real Property Administrator (RPA). 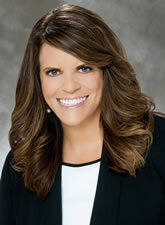 She is licensed in Florida as a real estate broker and a community association manager. With more than 30 years of experience managing and marketing real estate investments, her professional background has focused on asset management, leasing/brokerage, property management, facilities management, acquisition/disposition, consulting and litigation support services involving commercial, residential and community association property types. Ann's extensive involvement with high-profile properties owned by large institutional clients provides her with unique insights that are particularly helpful. She has had extensive interactions with owners, investors, developers, advisory groups and users of investment grade real estate and has overseen portfolios up to 20 million square feet geographically located across all 50 states. She has worked for nationally recognized firms such as Trammell Crow Company, Heitman Advisory Corporation, Lincoln Property Company, Realty Capital Advisors, Adler Group, CNL Group, Teachers' Insurance and Annuity Association (TIAA-CREF), SunTrust Bank, Manulife Financial, Republic Industries/AutoNation USA and Apollo Real Estate Advisors, among others. As a result of Ann's professional accomplishments, Reisch Consulting Group, Inc. was formed to share her knowledge and expertise across a broader market. By providing both strategic and tactical perspectives with real estate clients and operational standards and practices with legal clients, many under-served areas of the marketplace now have additional resources. Whether the project or assignment can be handled by Ann individually, or requires a team approach, we are positioned to meet the needs of each client and each assignment. Ann is a past president of the Central Florida chapter of the Institute of Real Estate Management (IREM) and a recipient of the "CPM of the Year" award. She has served IREM at the international level as Chair of the Industry Standards Advisory Board, Governing Councillor, Chair of the Ethics Hearing and Discipline Board, member of the Ethics Committee and as a director of The IREM Foundation. She is a member of numerous other professional organizations related to the real estate industry that include: CCIM Institute, National Association of Realtors, National Apartment Association, Community Associations Institute and International Crime Free Association.